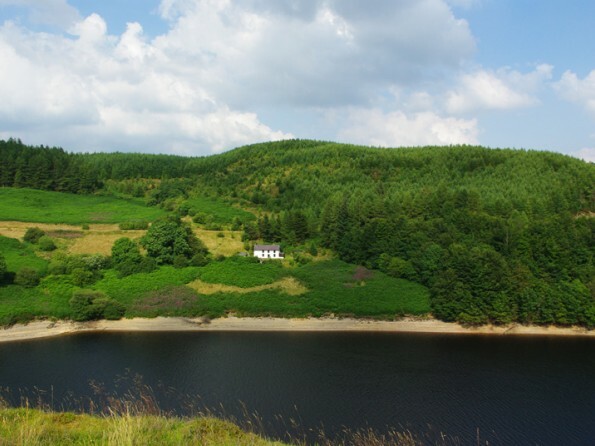 Tucked into a south-facing hillside with conifer and oak woodland behind it and the calming waters of Llyn Brianne reservoir to the front, Dalarwen is a pretty, peaceful and utterly idyllic Welsh hideaway. Perfect for wildlife enthusiasts and lovers of the great outdoors! 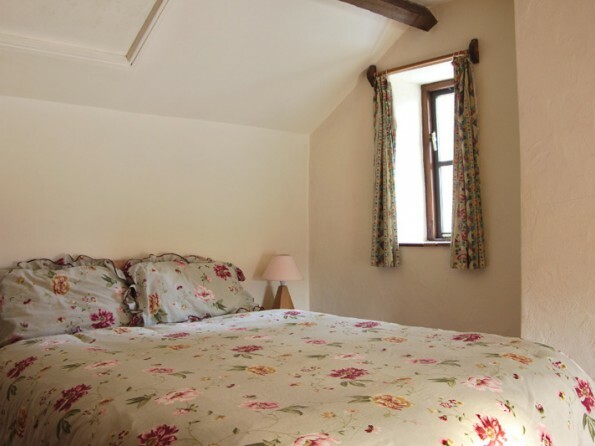 One previous guest of Dalarwen said it was like entering a time capsule and leaving civilisation behind and there couldn’t be a better way to describe the beauty and tranquillity that you will experience here. 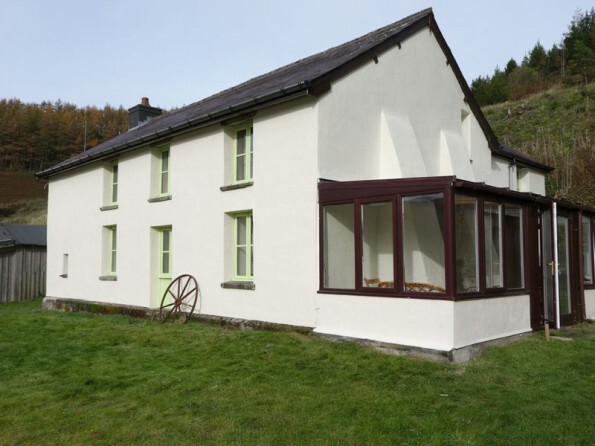 Once the homestead of a large hill farm, the cottage is now reached along a near-deserted Natural Resources Wales road and it is the ultimate in ‘off-grid’ holiday accommodation. There’s no mains water or electricity and no phone signal, there aren’t even any neighbours. 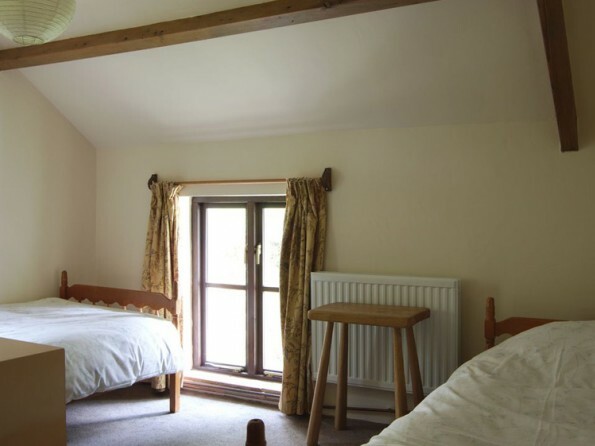 But what you will find are characterful comfortable interiors, plenty of traditional entertainment (think jigsaws and board games) and a view of the lake which will take your breath away. Tempting isn’t it? 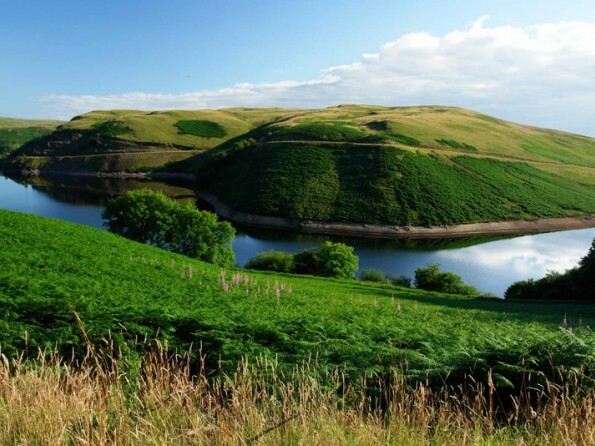 The Llyn Brianne reservoir is situated at the head of the lovely Towy Valley, near the border between Carmarthenshire and Ceredigion. 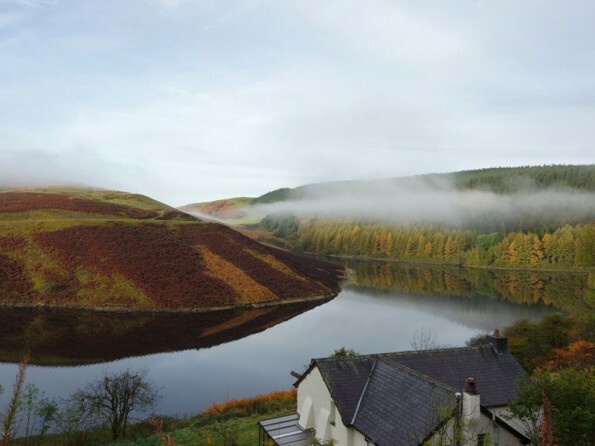 The location in the foothills of the Cambrian Mountains offers direct access to miles of empty forest road and mountain tracks, so there are boundless opportunities for walkers, artists and nature lovers. Or you could venture down into the Towy and Cothi Valleys where you will find shops, pubs and dramatic wild swimming spots. Culture vultures will enjoy discovering the ruined castles, Twm Sion Catti’s cave and the National Botanical Gardens, the beaches of the Cardiganshire coastline are an easy drive away, and the neighbouring towns of Llandovery and Tregaron have shops and cafes aplenty, and the the local villages of Rhandirmwyn and Cilycwm have pubs serving good food. The nearest towns are Llandovery to the south, Builth Wells and Llandrindod Wells to the east and Tregaron to the north-west. Approaching Llandovery from the east, continue through Llandovery on the A40. Just before the level crossing turn right. Take the first left (signposted Rhandirmwyn and Llyn Brianne). 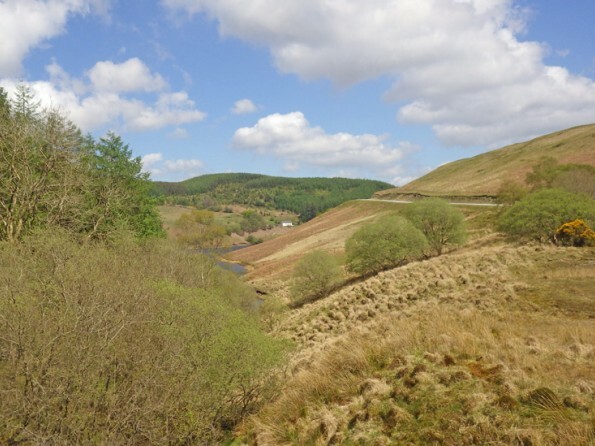 Continue on this road through Rhandirmwyn village and on past the Dinas Bird Reserve, then take the second left into Llyn Brianne main car park. Unlock the gate and pass over the dam wall, along the road around the lake for 2.5 miles when Dalarwen will be found down to your right. The entrance lane is then 100 yards further on. 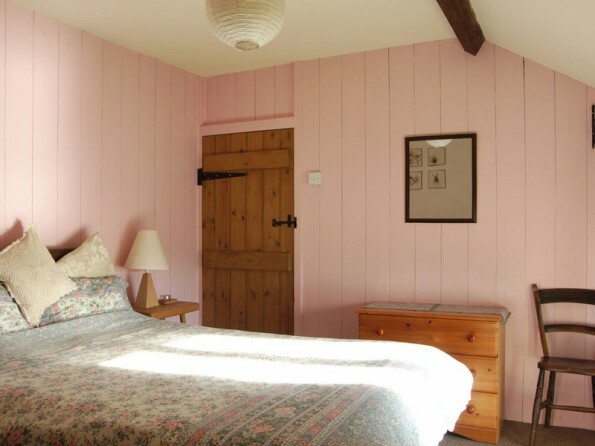 The farmhouse has five bedrooms (three of which have lake views) – two doubles, two twins and one single. 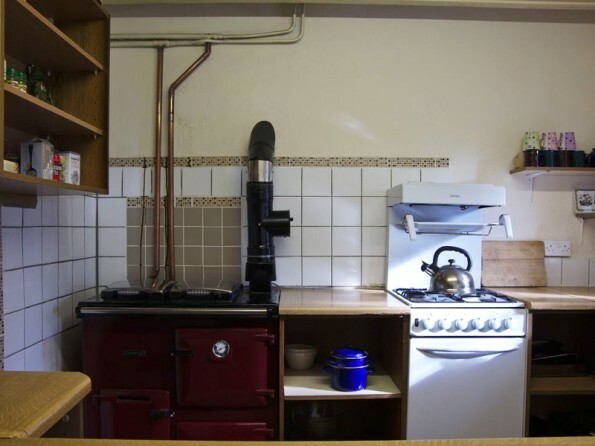 There are two bathrooms with showers and an extra washroom downstairs, the spacious living room has a wood burner set into an inglenook fireplace, and you will also find a kitchen and a large dining room and a conservatory. There is no TV or telephone but there are puzzles, board games and even an electric piano to keep you entertained. Outside there is a lawn and a sitting area which directly overlook the lake. And the lack of light pollution here makes star-gazing a very special treat. Here you are in rural splendour, with the great outdoors as your playground, surrounded by fields and valleys, woods and streams, and some wonderful wildlife, rare birds, and even the odd red squirrel or otter if you are lucky. All electricity is generated on site using solar panels and water is sourced from a private spring (be aware that the spring water is not treated). 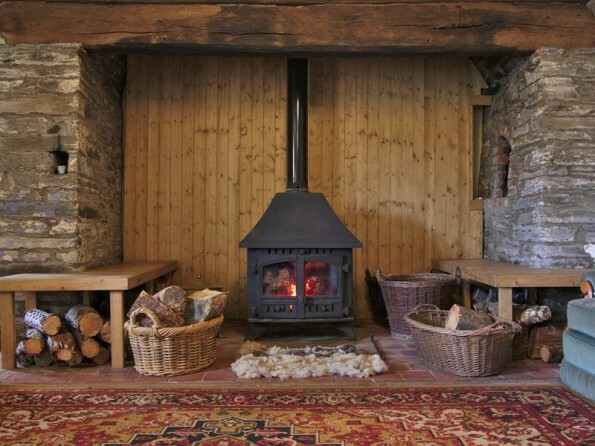 Logs for the wood burner are provided free. Bookings normally run from 4.30pm on Friday to 10.30am the following Friday. Short breaks also available (minimum 2 nights in low season and 4 nights in high season). No pets and no smoking. 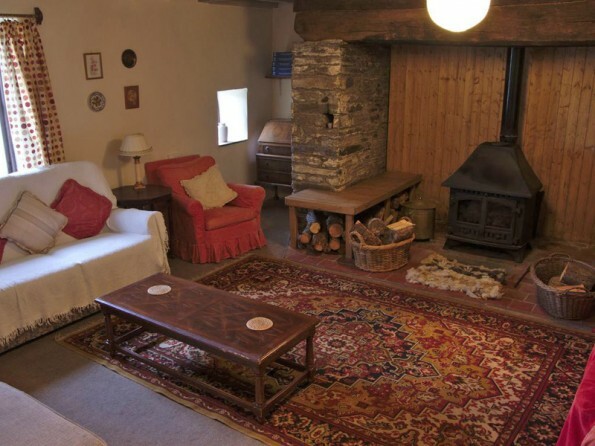 Winter stays available - price on application. In winter the track gets quite muddy and if there is snow a 4x4 would be needed to get around the lake. If you are hardy types who are prepared for that, then you are welcome to come and stay (please note there may be additional fuel costs during winter).